Christmas and New Year are one of the most important, serene and spiritual holidays, connecting people of all ages. If you ask someone on the street, without which it will be difficult to imagine Christmas Eve and New Year's Eve, light garlands will be among the first on the list. These shiny lights create a festive mood and evoke admiration in everyone without exception. What kind of festive light garland to buy? 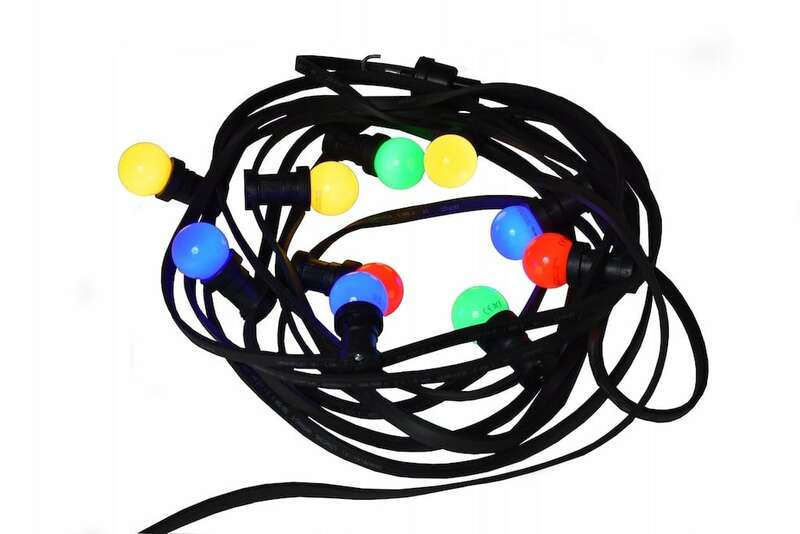 Inexperienced users believe that the garland is a string with several hundred bulbs. In fact, there are different varieties of electric decorations. The most important is a properly selected light source, which in the case of Christmas decorations with mini-lamps is very important for many people. Such garlands of light placed on a Christmas tree set outside are known from childhood. They are distinguished by a very low price, they are beautiful and provide comfort. LED light garlands replace traditional decorations with bulbs and are currently the most popular type. 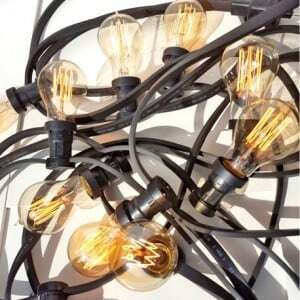 But bulb-shaped garlands are still enjoying the recognition and interest of people who appreciate classic design. LED light garlands are more expensive than bulb bulbs, but they exceed them in various parameters. It is very important that they can be installed even in difficult weather conditions from -30 to even +40 degrees. This type of decoration is perfect for decorating the Christmas tree in front of the house, decorate the gazebo, terrace, balcony, roof, etc. Colored LEDs can be freely exchanged and changed their colors, so you can use them at other important events throughout the year. 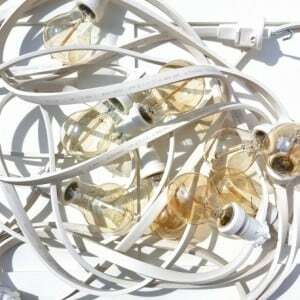 In modern garden garlands, various types of wires are used, on which light bulbs are placed, it can be: rubber, silicone and PVC. The first two types are characterized by high durability, increased resistance to moisture and resistance to weather conditions. Thus, the silicone hose can be used in very low temperatures and in conditions of high humidity. 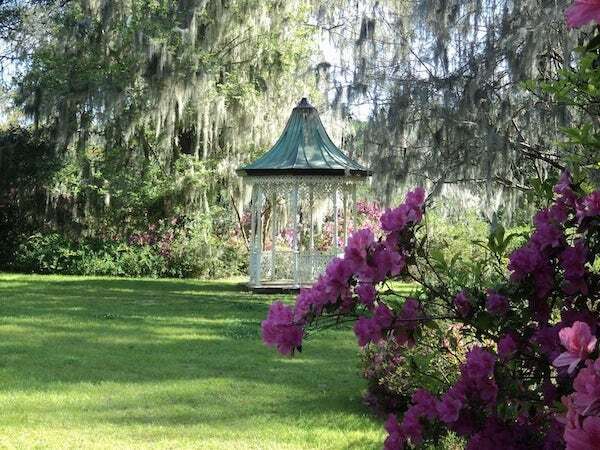 Such a garden garland is intended for decorating not only festive celebrations, but also it can be used as a light illumination to emphasize the importance of such ceremonies as: wedding, communion, festivities, corporate events. In addition to the garden, it can be used to decorate streets, squares, scenes, etc. The garden garland can be equipped with incandescent, energy-saving or LED bulbs. Practical bulbous garlands are a favorite way to create a festive mood. These can be the simplest or unbelievably complex designs, single or multi-colored. If someone wants to go beyond the usual Christmas decoration, he can decorate furniture, walls or windows with electric lamps. Bulb-shaped garlands have the option of using not only incandescent solutions, but also LEDs, so you can significantly reduce operating costs. The high degree of protection IP44 ensures its efficient operation even in severe frosts and rain. It's good to know that LED bulbs can be used all year round due to their savings, which practically does not affect electricity bills. Garland bulbs are popular with homeowners, hotels, shops and restaurants: they decorate windows, facades and trees, attract tourists and delight visitors. Simple and functional garlands can be found in every house. 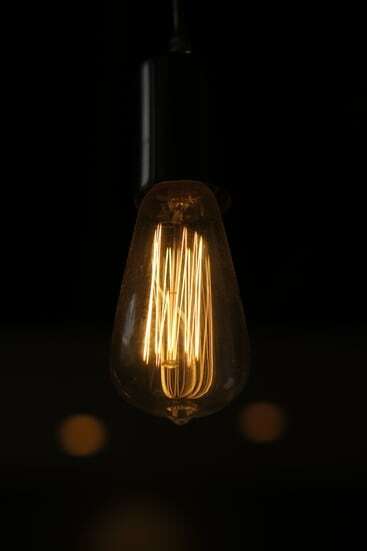 These are cords along which there are bulbs or LEDs. Such decorations are universal: they are suitable for decorating Christmas trees, furniture contours, wall corners. Lights in garlands may have LED bulbs in the shape of a colored ball. They are characterized by low power consumption, long service life (17 thousand hours) and a great visual effect. When looking for a designer garland, it is worth choosing light bulbs that give a wonderful rainbow effect. Celebrating a birthday, name day or wedding anniversary, you can decorate your property, trees, shrubs with multicolored lights of a garland. On the black wire (10m + 2m) there are bulbs (1W) with changing colors: yellow, orange, red, purple, blue, green. This spectacular light cord can become an ornament of every Christmas tree in the garden, every balcony in the block and roof linings of private houses, shops or hotels.